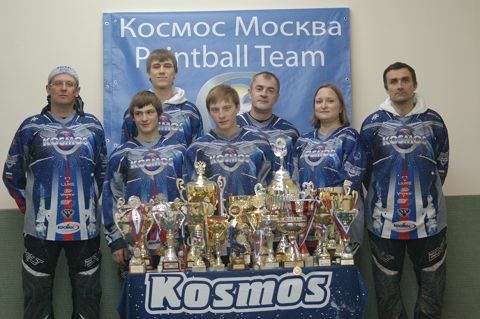 "Our close-knit team Kosmos Moscow is happy to announce that it will be playing in the SPL Division of the Millennium Series in 2012. 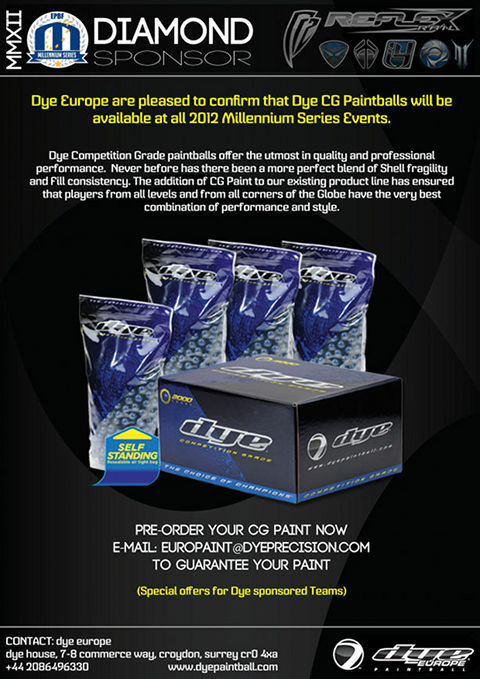 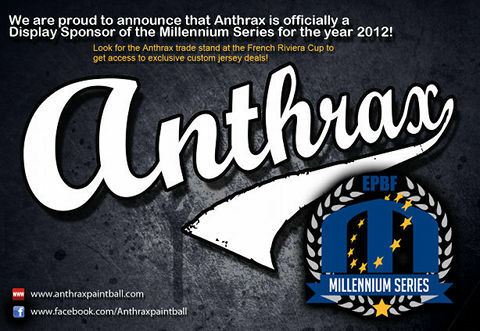 We are looking forward to playing against strong and experienced competitors in the best European Paintball series. 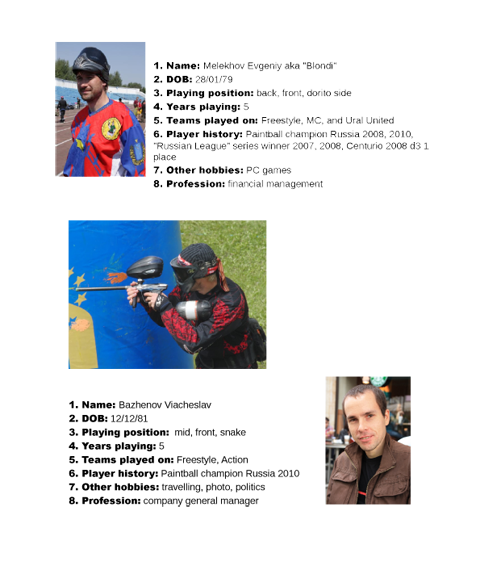 We are grateful to Top Service Russia (trademark Kosmos) for their financial assistance and to Celtic Paintball for the great paint. 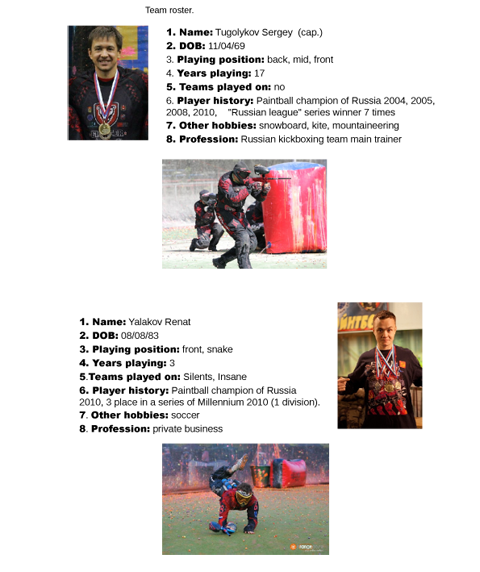 We would also like to say thank you to our families and friends constantly supporting us during the tournaments and preparation to them. 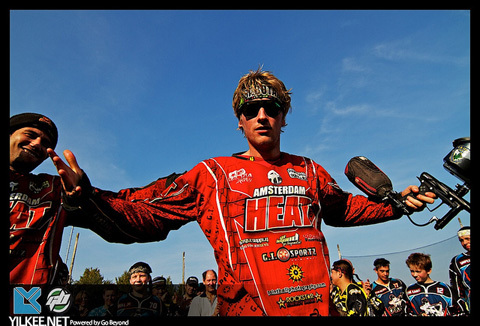 See you all soon and good luck!" 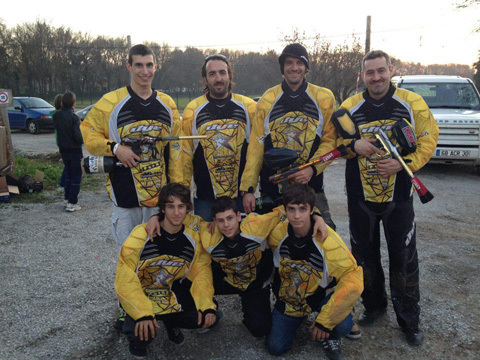 "After good results in National Leagues and a professional and performance based preparation, we are pleased to compete again in the Millennium Series this year. 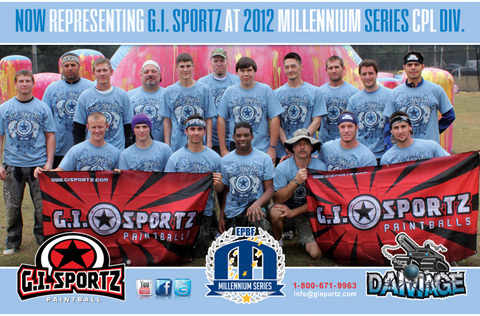 We see ourselves as a professional sports team with major ambitions. 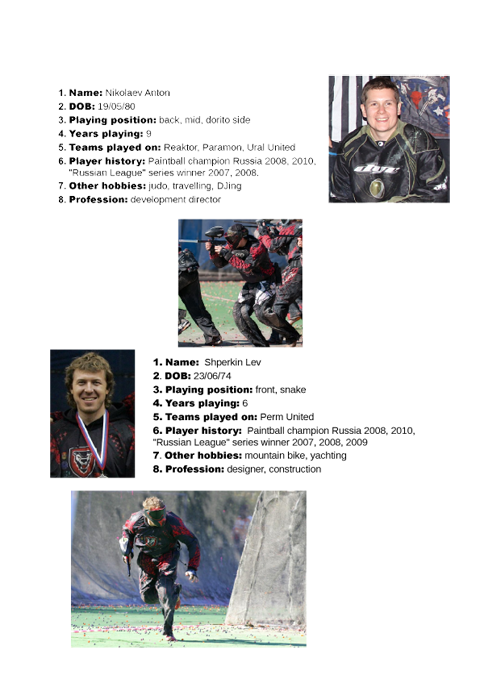 With a top trainer, a professional physiotherapy service, special training plans by renowned sports medicine specialists, and with the consultancy of former professional athletes (including former football players) we are fully confident that we can achieve good results at all four events within Division 1. 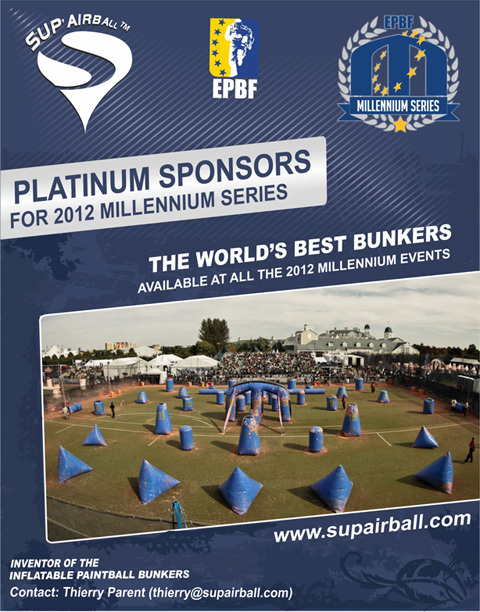 We thank our sponsors; MAXS Sport, the ITNT GmbH and the extreme sports channel Xtreme1.de for their professional support and look forward to a successful Millennium Series 2012."